Oct 5, 2009 — In celebration of Torah excellence, Yeshiva University’s (YU) Rabbi Isaac Elchanan Theological Seminary (RIETS) will honor dedicated leaders and educators of the Jewish community at its Annual Dinner of Tribute on October 27 at The Grand Hyatt in New York City. Honorees include Dr. William and Debbie Schwartz, Guests of Honor; Dr. Alvin I. Schiff, Lifetime Achievement in Jewish Education; and Rabbi Yaakov Neuburger, Rabbinic Leadership Award. The dinner will also include the formal investiture of Rabbi Kenneth Brander, the David Mitzner Dean of YU’s Center for the Jewish Future (CJF). RIETS will also pay recognition to members of its fiftieth, fortieth and twenty-fifth anniversary classes (1959, 1969, and 1984). 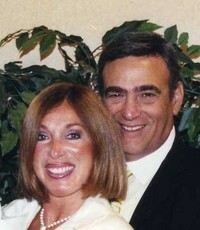 A YU graduate and member of the RIETS Board of Trustees, Dr. Schwartz is the founding president of the Rockland County Jewish Federation; a former vice president of the Adolph Schreiber Hebrew Academy of Rockland; a former member of the board of the Community Synagogue of Monsey; and a former campaign chairman of the State of Israel Bonds Doctors Division for Rockland County. Debbie serves as a vice president of the Yeshiva University Women’s Organization and is a former member of the Board of Directors of Shaare Zedek Medical Center. An internationally recognized authority on education, Dr. Schiff, distinguished professor of education emeritus at YU’s Azrieli Graduate School of Jewish Education and Administration, has been a visiting professor at prestigious universities around the world. In 2005 he was awarded the Israel President’s Prize for his contribution to the enhancement of Jewish life, for inspirational educational leadership, influential Hebraic scholarship, prolific research and writing and for the founding of important institutions of Jewish life. Rabbi Neuburger, spiritual leader of Congregation Beit Avraham in Bergenfield, NJ, serves as rosh yeshiva at the Yeshiva Program/Mazer School of Talmudic Studies, an undergraduate school for Talmudic studies at YU. A Toronto native, Rabbi Neuburger received semicha [rabbinic ordination] from RIETS in 1979. Founded in 1896, RIETS is the leading center for education and ordination of Orthodox Rabbis in North America. To learn more about the RIETS Annual Dinner of Tribute, make a reservation or to participate in the Scroll of Honor call 212-960-0852 or email rietsdinner@yu.edu.